When you hire a company that lacks knowledge in designing and installing wine cellars, you will end up feeling disappointed because your wine rack system does not meet your aesthetic and functional requirements. At Harvest Custom Wine Cellars and Saunas, we have extensive experience in building wine cellars in Baltimore. If you love modern design in your home, we offer elegant metal wine racks manufactured by premier builders. One of the dilemmas experienced by some wine collectors in Baltimore is choosing the right type of wine rack system for their collection. Keep in mind that you cannot choose just any wine rack because you like it or it is affordable. You have to consult a wine rack specialist to help you make a smart purchase. At Harvest Custom Wine Cellars and Saunas, we offer a wide range of wine storage systems. We always make sure that our client’s aesthetic and functional needs are met. To achieve this, we make a careful assessment of your needs. Many wine enthusiasts invest in a refrigerated wine cellar to protect their collection from harmful environmental factors. They also want to have a wine storage and display area that will envy others. Modern wine cellars continue to increase in demand in many parts of the world. At Harvest Custom Wine Cellars and Saunas, we are passionate about designing and installing contemporary residential and commercial wine rooms using metal wine racks. Since wine racks have a significant impact on the overall appeal of your wine cellar, we make sure that the design of your racking system will impress guests. We can customize it to satisfy your thirst for luxury and modern style. With extensive experience and creativity in designing wine racks, Harvest Custom Wine Cellars and Saunas is one of the top-notch builders in Baltimore. We have completed wine room projects with form and function in mind. Need inspiration for your next project? 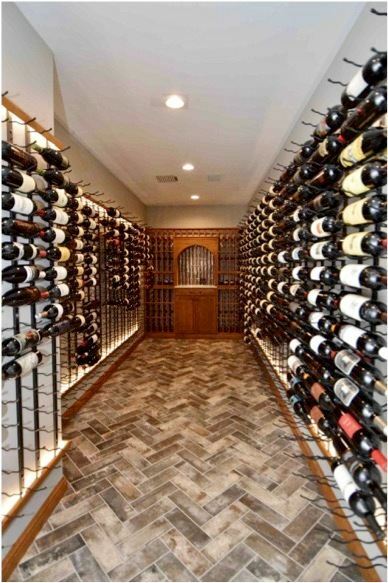 Check out the gallery of wine cellars in Baltimore we installed with tastefully designed wine racks!!! When most people hear the word “luxurious,” the first thing that comes to their mind is something that is expensive and beautiful. However, in wine cellar construction, our team can build a wine cellar a luxurious appeal without breaking the bank. We design stunning wine rack systems for wine collectors who want to have a wine display area that stands out from the rest. In Baltimore, metal wine racks have been a favorite choice in both residential and commercial construction projects. We offer metal wine racks manufactured by VintageView, IronWine Cellars, Genuwine Cellars, and Kessick Wine Storage Systems, the leading providers of innovative wine storage systems. Metal wine racks are sleek and go well with any existing décor. They are easy to install and space-efficient. They can be installed in small spaces, including the tiny corners of your room. When it comes to installation, most metal wine racks can be installed without the help of a professional. Pre-Made vs. Custom Metal Wine Racks: Which of These is Recommended by Experts in Baltimore? 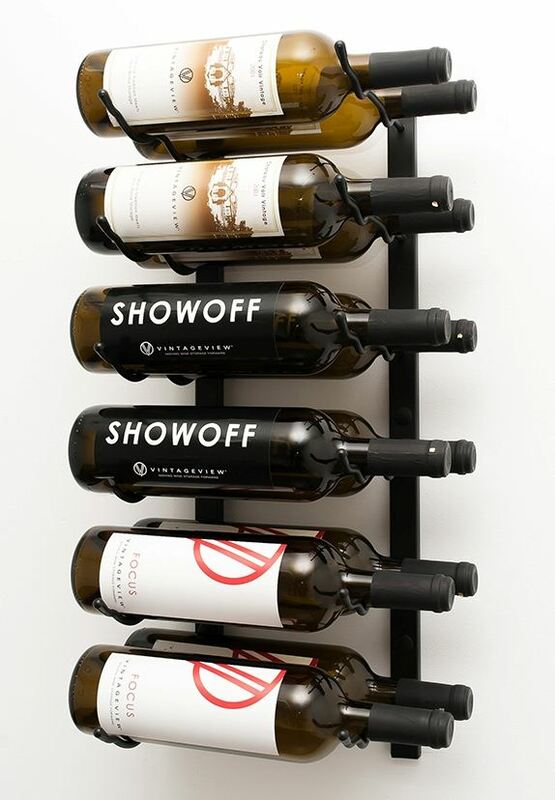 Our metal wine racks can be pre-built (wine rack kits) or customized. If you are on a tight budget, the wine rack kits are ideal for you. However, keep in mind that the dimensions of these wine racks may not fit the shape and size of our room. For those who want to spend a bit more for the sake of aesthetic appeal, we recommend customized metal wine racks. Although more expensive than kit wine racks, custom wine racks will be built according to the size of your wine room and the number of bottles you intend to collect. For example, your wine room has to be built in an irregular shaped space (e.g., under the stairs), choosing custom wine racks is the best option. Another benefit of customizing your wine racks is that you can combine metal with a small amount wood in your racking design. You may also add features that you think will enhance the beauty and functionality of your wine cellar. When designing wine racks, maximizing storage capacity is essential both for small and large wine cellars. Doing so will increase the number of bottles that can be stored in our client’s wine cellar. A metal wine rack system can fit snugly in narrow spaces, allowing us to make use of tiny spaces without compromising beauty. Our metal wine racks are designed for space efficiency. There are wine rack systems intended for wall-mount installation, eliminating the use of floor space while bringing a dull wall to life. Another advantage of metal wine rack systems offered by VintageView, IronWine Cellars, Genuwine Cellars, and Kessick Wine Storage Systems is the label forward orientation. This feature allows for ease in browsing of wines. Since the labels are facing out, you do not have to flip the bottle to see the information about the wine stored in it. When you flip the bottle, you are altering the chemical properties of the wine, which can result in off flavors and unpleasant aromas. Moreover, the time consumed by looking for a specific type of wine will be shortened. Durability and sturdiness should be in your list of properties that you must look for in wine racks. Metal can withstand the humid conditions in a refrigerated wine cellar better than wood. Our metal wine racks are also highly resistant to corrosion and can last for many years when maintained properly. Why settle for mediocre wine racks when you can purchase ones that can add a luxurious appeal to your space? 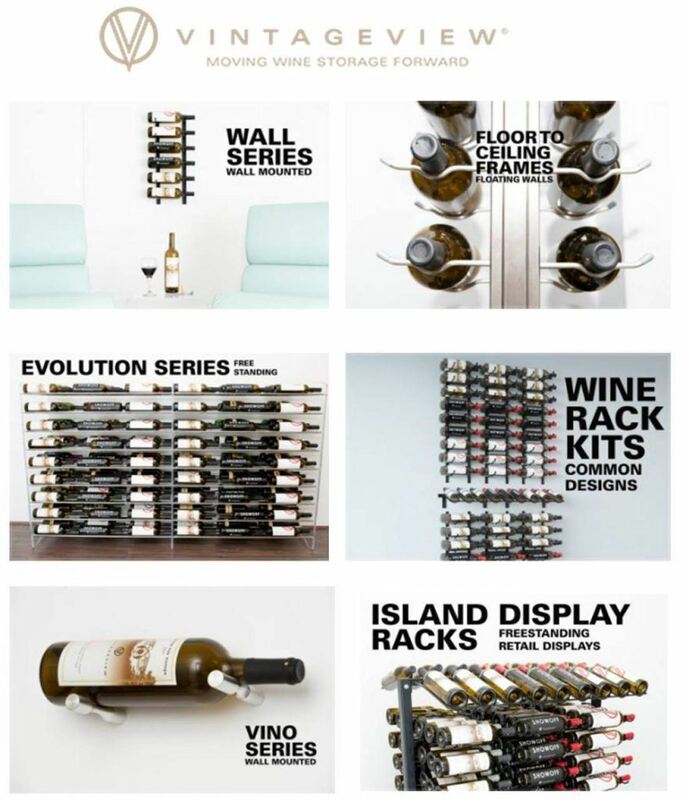 If you are a serious wine collector who loves modern design, we offer metal wine rack systems that suit your needs. Need help with your next project? Talk to one of our specialists at 804-467-5816!